Boston Whaler Montauk 170, Classic heritage meets cutting-edge capability! The unsinkable legend. 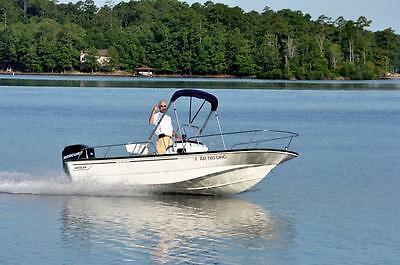 The Boston Whaler Montauk,has a shallow draft and a modified V-hull enables quick planing and a stable, dry ride. This boat has had only two owners since new and has fewer than 150 total hours. It has never been stored in the water and has never been used in salt water. 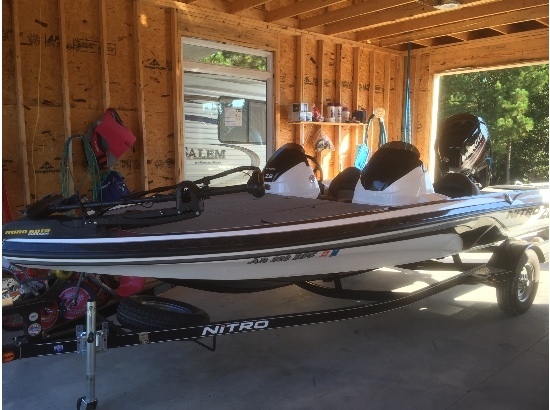 The boat is optioned fully with Bimini top, transom seats, bow cushion, AM/FM/CD music system, anchor, fire extinguisher, depth finder, compass, cooler seat, helm seat cover, console cover, winter cover, and all manuals. The Mercury outboard has a stainless steel prop. This is the cleanest Montauk 170 you will find from 2006 - it has never even been stored outside - always under cover in garage or on lift. Never been fished. Non-smoking owners. no dings, marks, scratches - always waxed and kept clean. Karavan trailer included - in perfect condition - swing tongue - like new. Selling only due to move. These are over 35K new. Buyer assumes responsibility for shipping. Payment - cash preferred - or will use escrow.com. Boat is sold on "as is" basis. Price is firm. Located in Hot Springs Village, Arkansas.